Two in one! 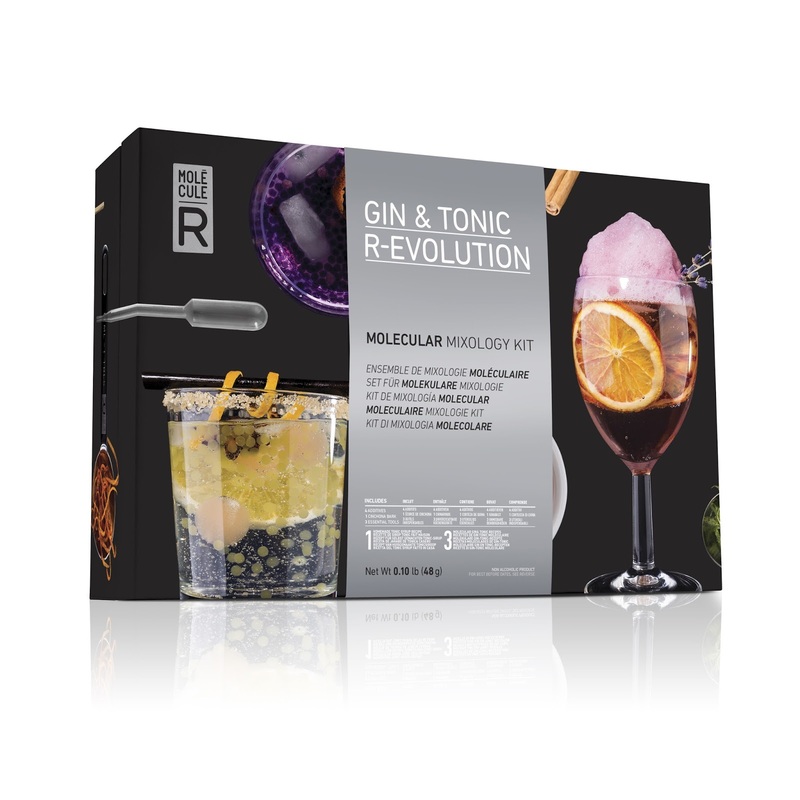 make your own tonic syrup, then reinvent the gin & tonic, molecular style. Contents: 2 sachets of calcium lactate, 2 sachets of sodium alginate, 2 sachets of soy lecithin, 1 sachets of citric acid, 1 sachets of cinchona bark, 3 essential tools, (2 pipettes, 1 slotted spoon and 1 silicone mold),1 booklet of 4 recipes. Create your own tonic syrup! Why not gin and tonic bubbles?